During the ”Archipelago of Common Memory” Summer School our group traveled through Karelia to the Solovetskie Islands. Participants of the school visited museum exhibitions dedicated to the White Sea–Baltic Sea Canal in Medvezh’egorsk (the former center of the canal’s construction) and Povenets (the canal’s current administrative headquarters); the Solovetskii museum, including exhibitions about the “new martyrs” and the history of the Solovetskii camp; Sandarmokh, the site of mass executions of Soviet victims; and memorial sites on Solovetskie Islands. This essay presents preliminary results of my research in which I focus on the narratives presented in different memory sites, including museums and memorials. I show how the victims of Soviet purges are portrayed at the different sites. One of the issues that became apparent during the summer school is that narratives about purges represent victims of these purges differently. A categorization of victims is often present. On Solovki, in the monastery exhibition, the victims are categorized by their religion, and Orthodox victims are made more visible than others. On the Avenue of Remembrance on Solovki and on Sandаrmokh victims are categorized by their nationality: diasporas have put up memorials to their compatriots. At the White Sea–Baltic Sea Canal Museum in Povenets, on the other hand, victims are represented through the eyes of the canal administration as either hard working or lazy. The categorization of victims illustrates some issues surrounding Russian memory of the Soviet purges more broadly—the lack of a single national narrative about the Soviet past and the drive to make sense of this difficult past. Khlevnyuk, Daria. 2018. “Victims’ Categorizations: Making Sense of Purges in Karelia and on Solovki”. 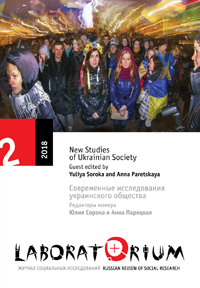 Laboratorium: Russian Review of Social Research 10 (2), 122-33. http://www.soclabo.org/index.php/laboratorium/article/view/767.